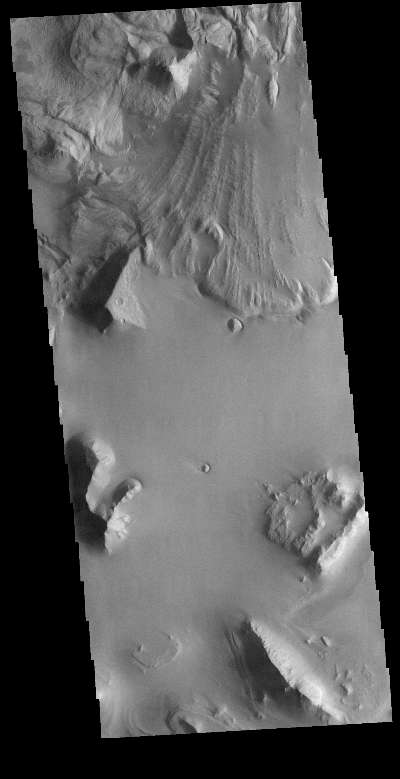 This VIS image is located in central Ganges Chasma. A large landslide deposit fills the top third of the image. The radial grooves on the top of the landslide are a common feature formed by the downslope movement of the landslide materials. The landslide was deflected in some areas by preexisting blocks on the chasma floor. Ganges Chasma is part of the Valles Marineris chasma system, but is north of the main section of canyons.